There will be times in life when you just want to get locked inside your room, pressing the pillow over your head, blanket secluding you from the outside world and silence keeping you company. I was going through one such time. 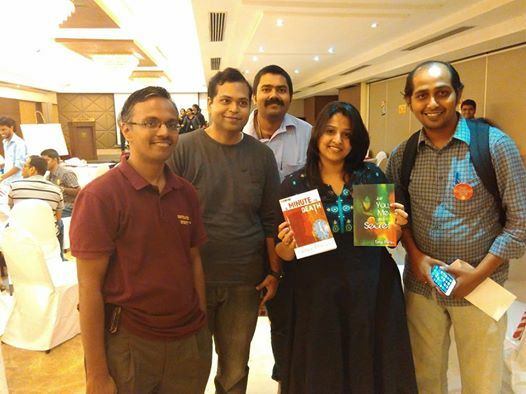 I always thought that getting a book published was my dream. I realized only when my head was sandwiched by pillows, pressing hard against my ears, and when tears were flooding my face that I had fooled myself. My dream wasn’t to publish, it was to be read; be read a lot. That was a time when I used to write amateur stories and send manuscripts to publishers. After receiving several rejections I understood that it was important to be read than to be published. I dedicated all my time to my blog. I published the first manuscript that I had pulled out of my blog to send to publishers. I started writing the second series. This second series was ‘Just you, me and a secret’. I wrote two other series, which I call as Blog-books, before a publisher approached me for Just you me and a secret. My blog has always been with me during my thick and thin. Susan, a fellow blogger, suggested that I send my short films to an international film festival after she looked at them on my blog. Two of my short films won awards at the film fest she had asked me to register for. Most of the initial buyers of my debut novel, Just, you me and a secret, were my blog readers and followers. There was also a time when I was so depressed. My first book’s storyline and a lot of scenes were used by a best selling author, who was the editor of a publishing house who had asked for my entire manuscript before sending rejection letter. I felt cheated. I had enough evidences to prove this. I had the two printed books in my hand with striking similarities. I mailed the publishers and received nothing in response. I was a NO-ONE and that’s one thing the best-selling author had taken advantage of. One fine day I posted about this on facebook with a lot of fear still left in me, 8 months after the other author’s book got published. That’s when I understood the real power of being a blogger. Several bloggers stood by my side. It was only through my blog that these people got into my network of friends. So, my blog has always been with me, supported me and helped me get good contacts. Why am I talking so much about my blog now? 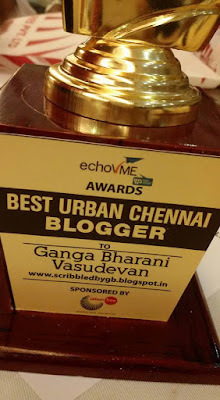 That’s because my blog has won me ‘Best Urban Chennai Blogger’ award at the bloggers meet conducted by EchoVME and Urban Tree. Talking about the event, the first thing I remember doing was proudly pinning this badge. As soon as I got into the event room I met so many friends of mine, whom I haven’t met in ages. One blogger friend couldn’t even recognize me, it’s been so long since I met them all. 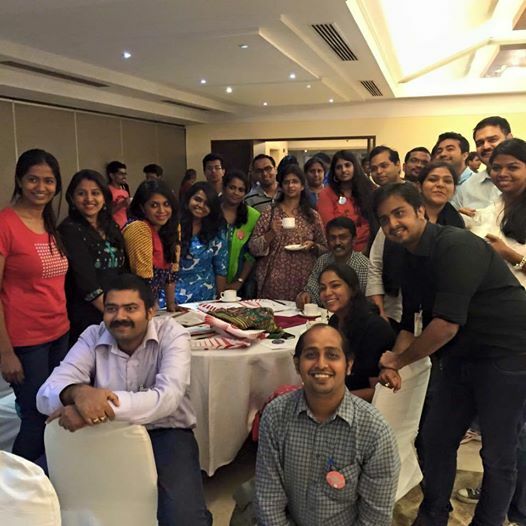 This event was well organized and I should clap hands a little louder for the EchoVME team. First we had a rapid fire round and most of the questions were about Urban Tree properties like Infinity, oxygen, wow. Then we had Tambola. I felt so bad that it wasn’t my lucky day as I had numbers above 30, one each in all three rows but the strikes available were only under 30. We then had the director of Urban Tree telling us about his company. IT was a frank and an open talk which the builders generally don’t do. I appreciate him for accepting the challenges and how they try their best to overcome those. After Tambola we had Adzap. We were divided into four teams with an Urban Tree property name given to each of us. This separation was done based on the colour of the badges we wore. I wore an orange badge so I belonged to the WOW team. We had no concept at all, absolutely no content. We were too lazy to discuss too. We waited for the other three teams to perform. The first team’s concept was to convince a queen from olden days to come to the present through a time machine. They convinced her saying that the Urban tree property will have all the facilities that she enjoyed in her palace. The second team’s concept was to bring aliens to the Urban Tree property and convince them that the property was the best place to settle on earth. Third team had a simple but a very engaging concept. It was the oxygen team promoting oxygen property of Urban tree. Two girls spoke over phone about the advantage of being in oxygen and the disadvantage of being elsewhere. The lady walk and spoke so that the two of them almost hit each other though they were technically at different homes. Our team decided to use these concepts as we had not much on our own. We said queens don’t have to come to WOW as everyone lives a queen life when in WOW. Wow is not for aliens but for humans. We also made fun of the talk-over-phone-and-walk-into-each-other’s-house saying WOW was so much in the city that one can walk to WOW from any where in the city while in a call. Ganesh kept communicating the ad in sign language. We ended the ad saying that he was speechless after seeing WOW. It was shocking and surprising that we lost the prize by 1 point to the Oxygen team. Finally, the best surprise of the day, I won the BEST URBAN BLOGGER AWARD. 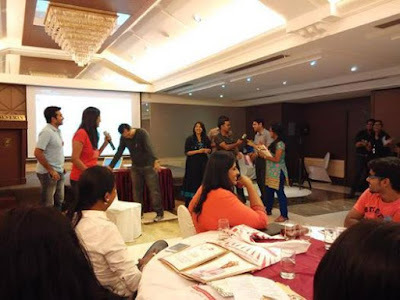 I would like to congratulate the other bloggers, who won the award. Thanks EchoVME and Urban tree for this wonderful trophy that I will cherish forever and ever and ever…. 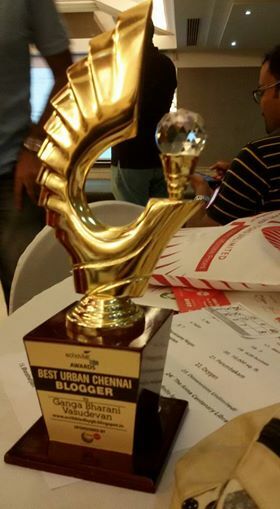 Many thanks for attending #UrbanChennai Blogger's Meet and Awards. Congratulations from Urban Tree Team once again. Thanks for writing about it. 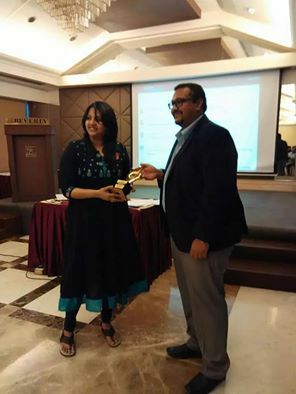 Congratulations on winning the Best Urban Blogger Award. About the best selling author who stole from your manuscript - I have no printable words to write. This kind of thing happens all over the world. In 1953, Robert Kearns developed intermittent windshield wiper for automobiles and showed them to Ford and General Motors. They told him it is not a good idea and rejected his invention. The next year, Ford and General Motors fitted all their cars with intermittent windshield wiper. Mr. Kearns got mad and sued them. He could not go against big auto makers because he was poor. Now, every car in this world are using this wiper. He died as a broken penniless man. Had his parent was recognized, he would have been the richest man in the world. Think about all the cars manufactured in all countries in the world since 1954 and what if he got $1 as royalty for each car.